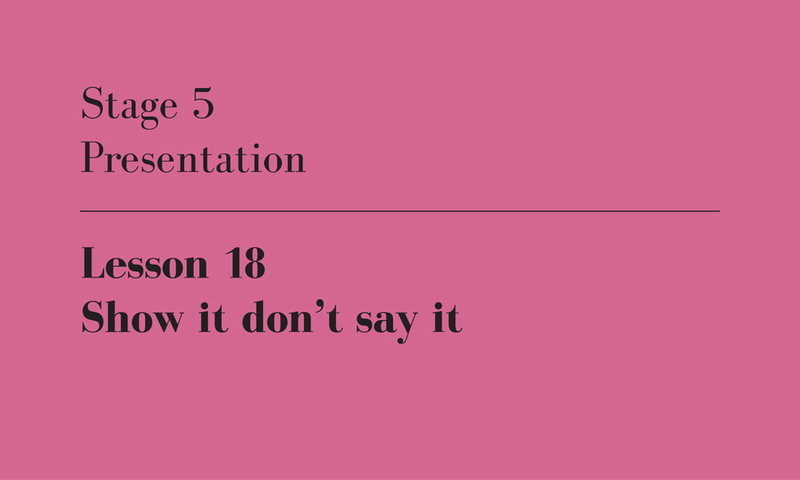 This is the 18th of twenty-one lessons for design students, gathered from the combined experience of being a student, and teaching students. I will published one lesson each weekday until they’re done. As I observed at the time, Mangado in fact had the two confused. He spoke for many minutes without advancing slides, and rushed through the few slides he did have as though they were insignificant. It was such a blatantly poor presentation, I wondered if he was doing it on purpose. So there’s a lesson hidden inside this lesson: if you despair of gathering the courage to speak publicly, if you mangle every opportunity, if you get so nervous you pee a little, know that an architect as widely respected as Mangado still hasn’t worked it out. In contrast, Bjarke Ingels has this facet of his craft entirely under control. His diagrams are legendary: he is the king of using less words and more pictures. I saw him present a number of years ago at the World Architecture Festival in Barcelona. He was merely famous then, and I tuned in with polite interest only to be entirely engrossed by his proposal for a future of driverless cars. His project was a thinly veiled marketing campaign for his project partner, Audi, but I was hooked. What Ingels understands is that words are insubstantial puffs of air. They’re pretend, they could have been made up a moment ago. Pictures committed to the page are proof, they’re evidence that you’ve worked all this out before. Not only are they convincing, pictures force you to achieve resolution. To draw a good diagram, you need to have distilled your ideas to their simplest forms. To assemble a good plan, you need to have considered all expects of your programming and spatial arrangement. To render a good image, you need to have thought through space, volume, light and materials. Words leave too much room for speculation, pictures tell the whole story. Pictures have one other bonus: for those of you bad with words, they are a great crutch. I do want to hear what you have to say, but I’m content for most of the talking to be done by your slides. An IT friend of mine recently mentioned pacing his presentations at 2 minutes per slide. For an architect, this is glacial. I aim for 20 seconds a slide, and often move through them more quickly if they link together into a sequence.